Kathleen Ruff was one of the early pioneers of the human rights legal system in Canada. Born in 1940, Ruff moved to Victoria in the 1960s after completing undergraduate and masters degrees abroad. She married Norman Ruff, a political science professor at the University of Victoria, and by 1973 they had a son and a daughter. Ruff was a young, charismatic and energetic anti-war activist. She had been involved in the women’s movement for many years, first in the Voice of Women and then as president of the Status of Women Action Group. In 1972 she ran for office, but was ultimately defeated in her Victoria riding during the provincial election. Fortunately the new NDP government was looking to replace Sherlock, and they offered her the job. After the Human Rights Code came into effect in 1974, Ruff served as the first Director of the Human Rights Branch until 1978. She later became the host of CBC television’s Ombudswoman, a founding editor of the Canadian Human Rights Reporter and, later, director of the federal government’s Court Challenges Program. Kathleen Ruff was a critical figure in establishing the human rights legal regime in British Columbia in the 1970s. 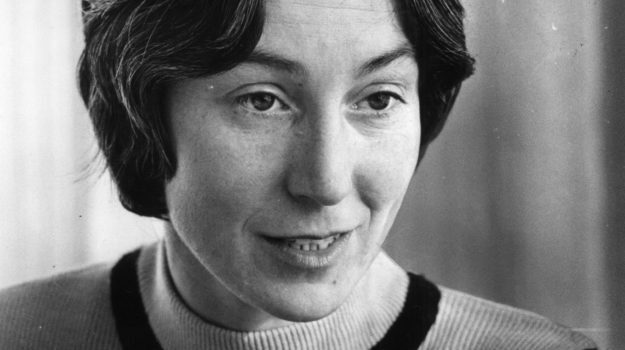 Her first innovation – unique in Canada – was to create a Human Rights Branch and divide responsibilities for the human rights program: the Branch investigated complaints and the Human Rights Commission was responsible for education. Ruff spent years nurturing the growth of the Human Rights Branch. Unlike predecessor, who was a bureaucrat at heart, Ruff was an activist dedicated to aggressively advancing human rights in British Columbia. The investigations carried out by human rights investigators brought to light the myriad forms of discrimination, especially in employment, which was pervasive throughout the province.